To most, cockroaches are the most disgusting insect in the world, with no positive attributes. But don’t tell that to aerospace conglomerate Rolls-Royce, who recently developed a tiny “cockroach-like” robot based off the bug, which they believe will assist in aircraft engine repair work. The U.K. engineering firm, who teamed up with robotics experts from Harvard University, debuted the bug-like invention at the Farnborough International Airshow in England. James Kell, technology specialist at Rolls-Royce, says the robot will drastically improve technician repair times and in some cases, make the need for a tech non-existent. “They could go off scuttling around reaching all different parts of the combustion chamber. If we did it conventionally it would take us five hours; with these little robots, who knows, it might take five minutes,” stated Kell. Sebastian de Rivaz, a researcher at Harvard Institute who assisted Rolls-Royce in creating the robot, says development into the bug-like creature has been an ongoing project for the past eight years. 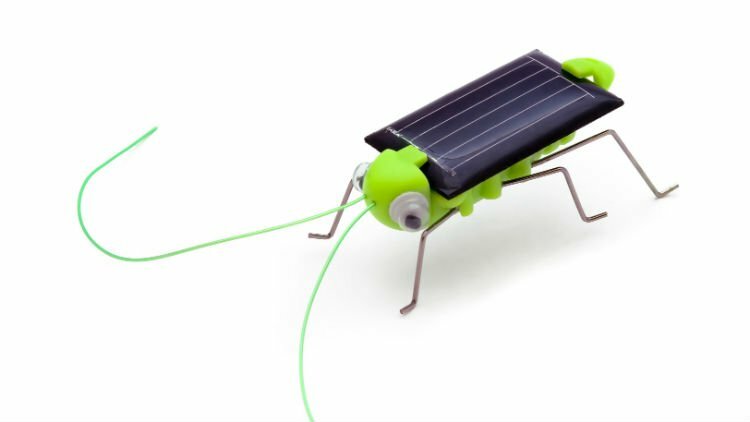 Wonder what type of fuel they’ll run on: Would You Drink Cockroach Milk? He nor the folks at Rolls-Royce have any intentions of concluding their research however, as the engineering team plans to make an even smaller version of the ‘cockroach-like’ robot which will size-up at a miniscule 15-milimeters. Once completed, the team will move on to a ‘snake-like’ robot, which will have the ability to travel through an engine like an endoscope. A secondary snake will then be dispatched with a temporary repair patch. A release date for the crawling robots has yet to be made official, though Rolls-Royce says a “remote boreblending robot” to fix damaged compressor blades in the engine has already began development and expects to be made available within two years.